Believe it or not, you can put your money to use very efficiently in a new way: your credit or debit card can serve as a blade in desperate situations. (It might even be handier than dental floss as a brilliant substitution for specialized kitchen tools.) While I wouldn't take bets on it slicing a New York strip steak, there are definitely many other foods it will easily slice through. "Cards are made of several layers of plastic laminated together. The core is commonly made from a plastic resin known as polyvinyl chloride acetate (PVCA). This resin is mixed with opacifying materials, dyes, and plasticizers to give it the proper appearance and consistency. This core material is laminated with thin layers of PVCA or clear plastic materials. These laminates will adhere to the core when applied with pressure and heat." For those of us caught in the break room or on a camping trip without a knife, we now know credit cards are sturdy enough not to snap down the middle and thin enough to easily slide in your wallet. In other words, they make a great pseudo blade. 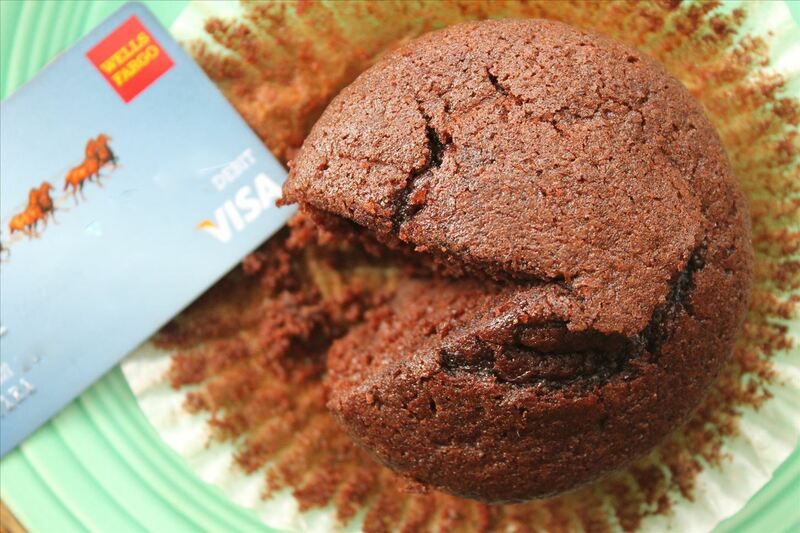 Now you might be wondering, is it safe to cut food with a credit card? Some argue that the plastics used to form the card are toxic, but using a credit card in place of a knife isn't something that happens everyday. It's doubtful you'd be exposed to toxic elements unless you were really overusing your credit card to cut food (and in that case, you should just take that card to a store and invest in some good utensils). Let's talk about the magnetic strip. The good news is that food will not affect or ruin the magnetic strip and vice versa. The magstripe on the back of your card is made of tiny iron-based magnetic particles encased in plastic-like tape. More specifically, the particles are mainly composed of barium ferrite. These iron particles would be toxic if ingested in large amounts, but since the strip is so thin and covered by a layer of plastic, the odds of it affecting your food (or the other way around) are incredibly slim. Only a few things can damage the stripe, like bending, melting, high heat, or other magnets. Before you whip that card out of your wallet and start slicing, it's a very good idea to clean it first. Simply rinse the card with warm water and mild soap and wipe dry with a towel or let air dry. Water and soap will not damage your card, promise! Anything soft or semifirm can be cut easily. Think cheddar, cream cheese, goat cheese, mozzarella, swiss, burrata, and feta. 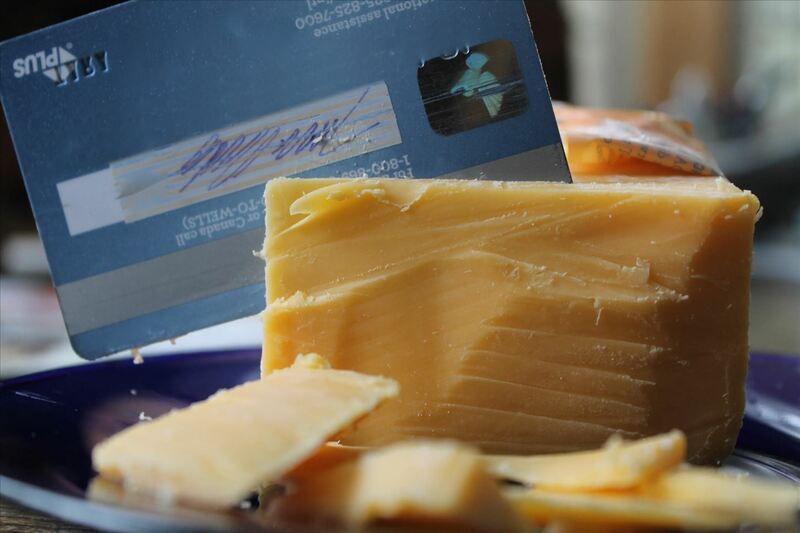 Hard cheeses like Parmesan might bend your card, so don't try it. 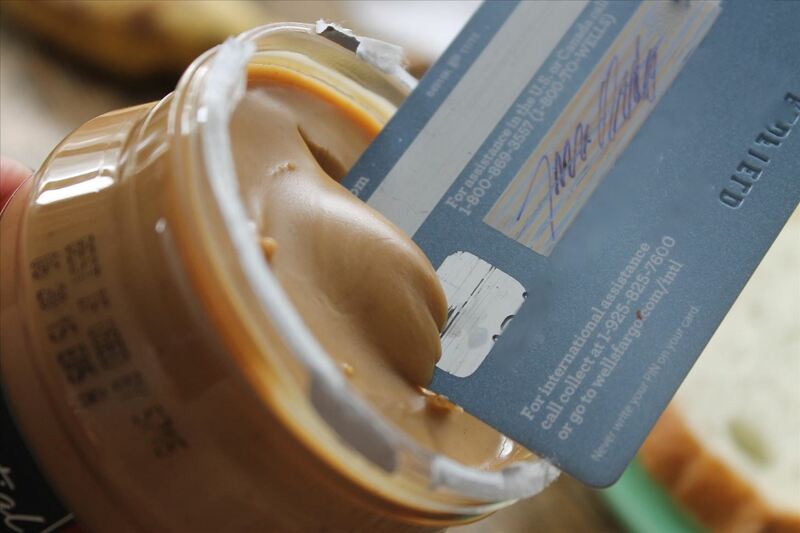 These can be easily spread by your card: room-temperature butter, peanut butter, guacamole, jam, salsa, Nutella. If you need to cut pre-sliced meats like salami, ham, prosciutto, or turkey into smaller sections, you can use your card. Your card will cut through sandwiches made with soft fillings on sliced loaf bread: peanut butter and jelly, peanut butter and banana, cucumber and cream cheese, ham and cheese, etc. Bread with a really crunchy or thick crust will require a lot of sawing and hacking, and that's more trouble than it's worth. 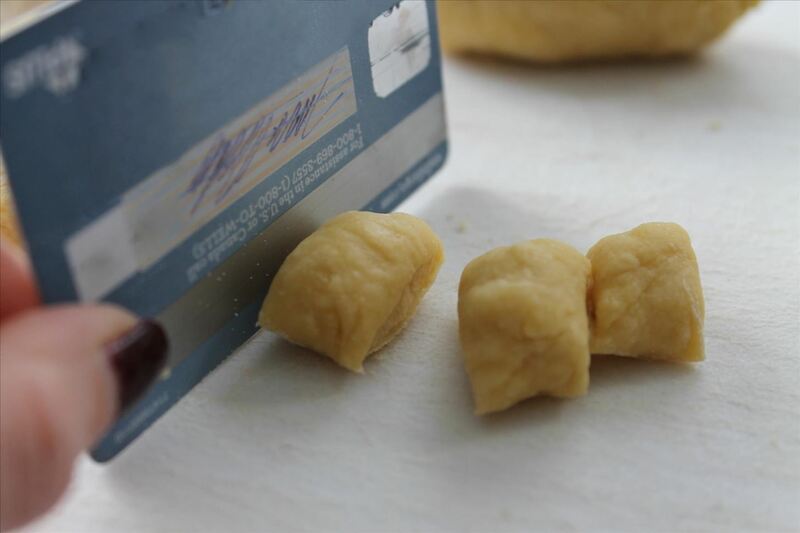 Credit cards work great for sectioning off cookies, pasta, bread, or gnocchi. Pulpy, soft fruits are easily carved by a credit card: bananas, avocados, strawberries, grapes, and apples. 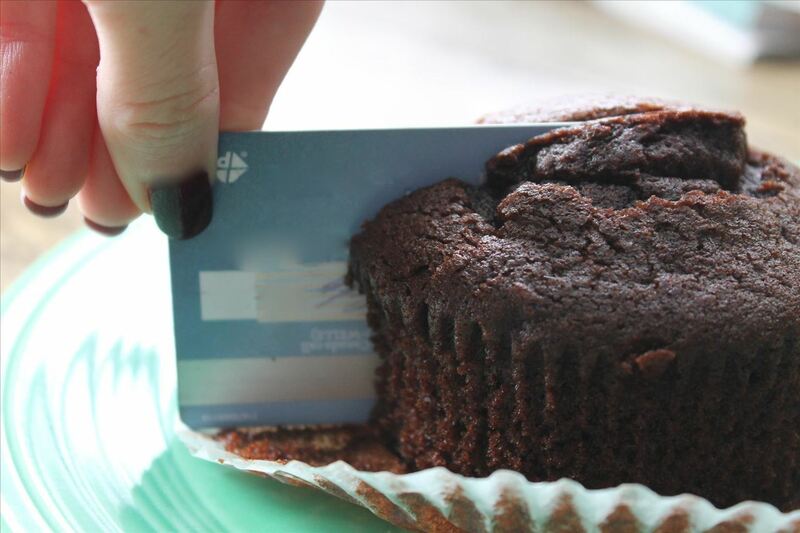 Credit cards work great at dividing up doughnuts, breads, cakes, brownies, cookies, muffins, rolls, and pastries. 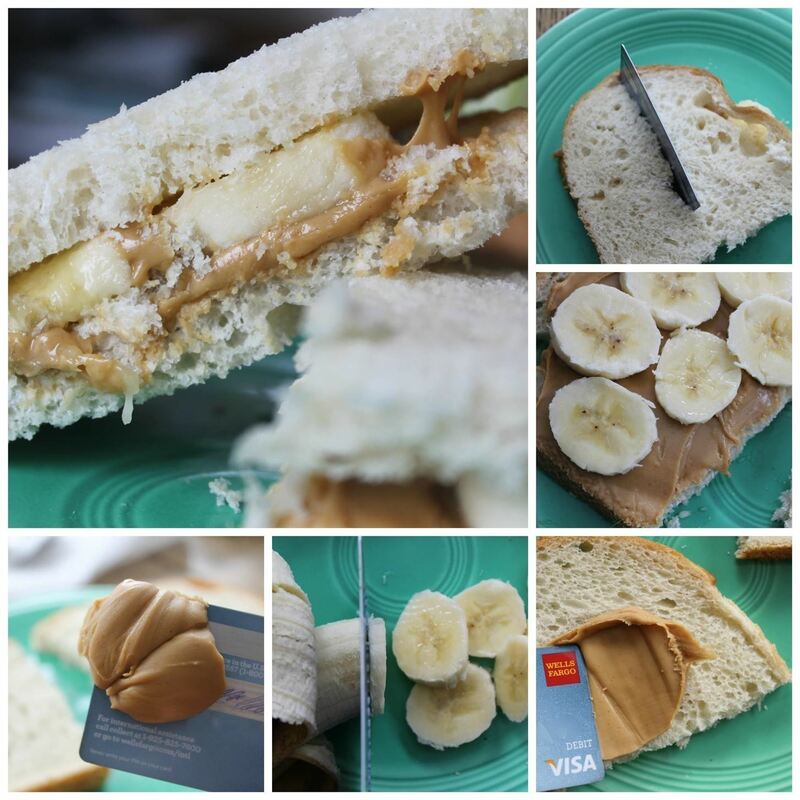 You can even make an entire peanut butter and banana sandwich with a credit card. That piece of plastic can spread the peanut butter, slice the banana, and cut the sandwich in half. What About a Knife That Can Sharpen a Credit Card?